A local woman carries fish on her head at the Oviedo Lagoon in the Dominican Republic. 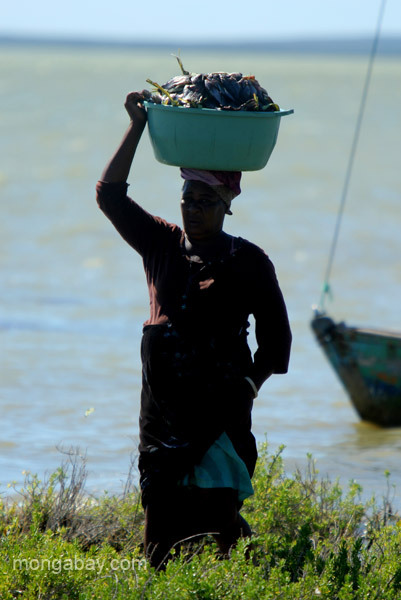 This picture, titled "A local woman carries fish on her head at the Oviedo Lagoon in the Dominican Republic. ", was taken in Dominican-Republic by Tiffany Roufs.